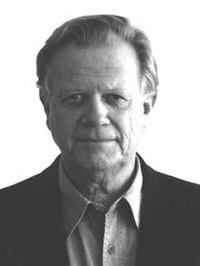 Hayden White was a historian in the tradition of literary criticism, perhaps most famous for his work Metahistory: The Historical Imagination in Nineteenth-Century Europe (1973). He was professor emeritus at the University of California, Santa Cruz, and held position of professor of comparative literature at Stanford University. White received his B.A. from Wayne State University in 1951 and his M.A. and Ph.D. degrees from the University of Michigan (1952 and 1956, respectively). While an undergraduate at Wayne State, White studied history under William J. Bossenbrook, who inspired several undergraduates who later went on to achieve academic distinction in the field of history, including White, H. D. "Harry" Harootunian, and Arthur C. Danto Hayden White was a historian in the tradition of literary criticism, perhaps most famous for his work Metahistory: The Historical Imagination in Nineteenth-Century Europe (1973). He was professor emeritus at the University of California, Santa Cruz, and held position of professor of comparative literature at Stanford University. White received his B.A. from Wayne State University in 1951 and his M.A. and Ph.D. degrees from the University of Michigan (1952 and 1956, respectively). While an undergraduate at Wayne State, White studied history under William J. Bossenbrook, who inspired several undergraduates who later went on to achieve academic distinction in the field of history, including White, H. D. "Harry" Harootunian, and Arthur C. Danto (The Uses of History). Hayden V. White has made contributions to the philosophy of history and literary theory. His books and essays analyze the narratives of nineteenth-and twentieth-century historians and philosophers, suggesting that historical discourse is a form of fiction that can be classified and studied on the basis of its structure and its use of language. White ultimately attacks the notion that modern history texts present objective, accurate explanations of the past; instead, he argues that historians and philosophers operate under unarticulated assumptions in arranging, selecting, and interpreting events. These assumptions, White asserts, can be identified by examining the form and structure of texts themselves, providing valuable information about the attitudes of the author and the context in which he or she has written. Furthermore, as White postulates in Metahistory: The Historical Imagination in Nineteenth-Century Europe, historical discourse can be classified into the literary patterns of tragedy, comedy, romance, and irony.